Even though ITAM has been around for a long time, there are still some very loose interpretations that claim to define IT asset management (ITAM). But — to be fair — the term asset management has different meanings depending upon the audience. When it comes to IT assets, we are specifically referring to those assets that enable the IT side of the business to run. In some cases, these technology assets might not be controlled by IT because today, it is rare to find a company that doesn’t have software and hardware supporting their business to run more efficiently. In this article, we’ll explore the topic of IT asset management and go over the types of tools involved, the benefits of these tools and how to maximize your software spend. Let’s get started with the definition of IT asset management. ITAM includes a review of current software and hardware used, ensures licensing compliance, and tracks how IT assets are being used and where changes may be needed. An ITAM audit may save you money by identifying software for which you are over licensed or an IT asset you are spending money on, but no longer using. In your business, you keep close track of your financial assets such as stocks and bonds, as well as the assets you have in your business enterprise like real estate, fleets, and machinery. 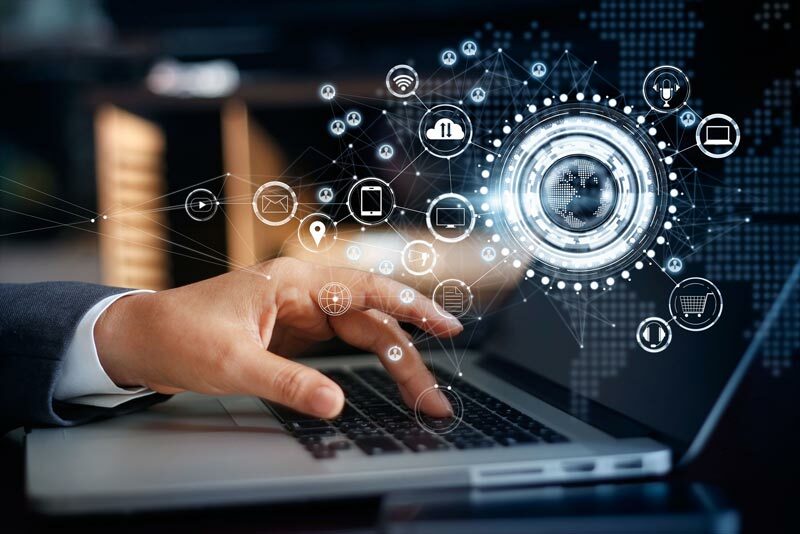 In today’s ever-trending world of technology, your IT assets are just as valuable as these financial and physical assets, if not even more so, as commerce shifts to a digital world. By following some IT asset management best practices in areas like asset discovery, security, governance, policy, process, metrics and reporting an ITAM will keep business and security risks low. It will also help track trends in the IT asset lifecycle, and identify time-and-money-saving areas. What Are the Types of It Asset Management? Physical: The discovery and inventory of hardware including PCs, laptops, printers, copiers, and any other device used for IT and data management purposes. Digital: The IT asset tracking of photos, videos, and digital data, including scanned hard copies. Software: Perhaps one of the most confusing and arduous IT asset management areas, due to compliance issues, licensing requirements, ShadowIT (IT being installed and/or used without IT management knowledge), and IoT (the Internet of Things - Smart TVs, smart appliances, even toys). This area of ITAM is one that must be diligently followed, constantly reviewed, and must be fluid to meet the demands of the business, its leadership, and the changing market. Mobile: Also a complicated ITAM task, mobile device and data use include not only efficient applicability but also adequate security measures. Mobile devices are used more and more in the field, regardless of the industry you are in. With that in mind, they are also the most vulnerable to Shadow IT. If your employees start downloading apps, even if the app is beneficial and can benefit the company, it should be reviewed and approved by the IT management director or team based on the firm IT policies in place. Cloud: While it would seem that managing the Cloud would be like harnessing the wind, IT asset management of Cloud components is actually achievable and secure. Use of the Cloud may eliminate the need for other hardware (servers) and software (licensing issues), not only saving you money, but keeping data more accessible at all times. Once we narrow the definition down to IT-only assets, there is still confusion. Let me begin by differentiating ITAM from discovery and inventory tools. Discovery and inventory tools are used to scan the network looking for IP addresses. After one is found, it will run a scan of all installed software. If the tool uses an agent, the agent will be pre-installed on the device and a scan will be scheduled to run a specified schedule. What is an ITAM database? An ITAM database has three components to it – physical, financial and contractual. The physical info is collected using the discovery and inventory sources to accept data that shows what is deployed. It will also provide visibility into all IT assets that might be in a stockroom, but not yet deployed or maybe scheduled for retirement. This stockroom info is typically collected using manual processes, bar code readers or RFID systems if they are installed. The second component of ITAM is the financial data. This data is often collected from a purchasing system or from a purchase order. It indicates purchase order #, vendor name, quantity, make and model, purchase price, depreciation, cost center, and other financial attributes that an organization might need visibility into. Tracking financial attributes about an asset is useful to understand total cost of ownership, return on investment and assign costs to projects and IT business services. It also helps an organization understand technical debt associated legacy applications, for example on the mainframe, and enable better decision making about end-of-life for an asset. The third component of ITAM is the contract data. This data is often collected from the reseller directly from the vendor/supplier or from a contract management system if one is in place. It will include the information from the final negotiated version of the contract, not the iterations during negotiation. Details such as version number, license entitlement, license type, vendor SKU, training days, service levels, maintenance and other important contract facts. If it is a cloud or Software as a Service purchase, the details will include quantity, license type, device count, purchase price, whether you are bringing your own software to the cloud instance, contract timeframe to name a few. Data from these sources is consolidated into a database which becomes the information hub. Regardless of whether the data is related to software, hardware or services associated with that equipment it is stored centrally. Software asset management and hardware asset management is a subset of ITAM. Without visibility into the hardware, it becomes impossible to ensure software is installed in compliance with the license agreement. Similarly, without insight into contract SLAs and integration into IT service management tools, that provides incident and problem management info, it is difficult to do effective vendor and performance management. As with most things involving technology, definitions, interpretations and the ways we think about something will evolve over time. When artificial intelligence takes over ITAM, I’m sure the definition will evolve once again. In addition to overall IT Asset Management, Ivanti can show you how to cut IT costs. Take a few moments to review our webinar “Steps To Cut Your Software Spending by 30 Percent,” and you will see just one example of how IT Asset Management can help your business be more successful.